If there was one thing the 'new Superman' didn't seem to have it was respect for his elders. For months the internet has been chocka with previews showing the new jeans and a t-shirt clad hero holding an old man aloft, over the railing of his multi-million dollar penthouse. 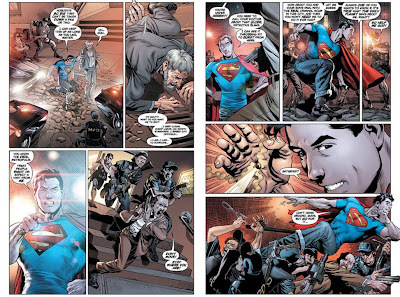 Luckily, the folks at Yahoo have landed this sweet preview of Grant Morrison and Rags Morales Action Comics #1, which shows Kal-El's not just out to test the strength of pacemakers all across Metropolis, he's actually got a pretty decent motive to boot (as if you had any doubt). "Activate the city" What did he mean by that? Is Metropolis being swapped for the Autobots Metroplex? 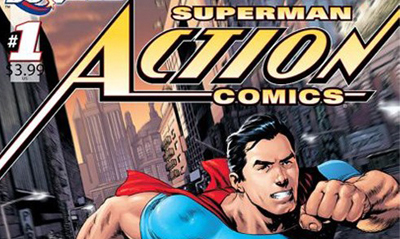 Find out in Action Comics #1! Hey Scott - thanks for the comments! Sure seems like he's taken a leaf outta Bruce's M.O, even though with Lex Luthor over the years he's always had his own social justice crosses to burn. This is all an attempt by Morrison to give us the old, old GA Superman, but in modern terms. I guess this "new" Superman is alright, but I prefer the nice, optimistic Superman from All-Star Superman. 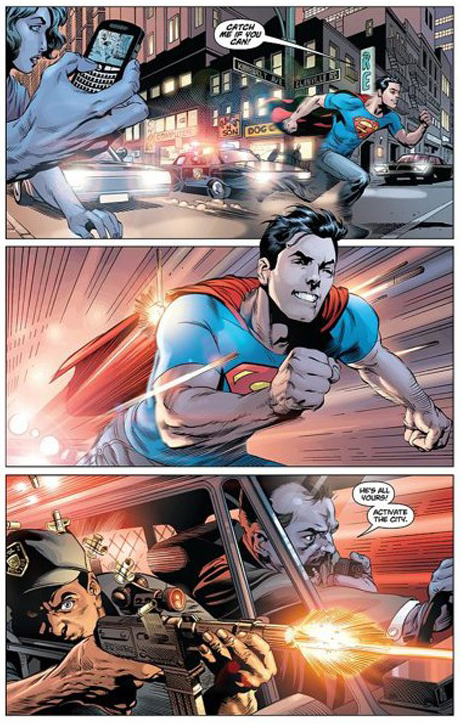 It's nice to know this Superman doesn't take crap from anybody, but why make him a Batman-lite clone, when he's supposed to be just himself, just Superman? I like the new flightless Superman, but I'm pretty sure any relation to bats will stop as soon as we see what the police officer is ordering. Superman gives Grant the ability to go as big as he can and I'm thinkin, that will be right from issue #1! Hey I trust Morrison, especially w/Supes because I know he really has an affection for him, but why fix something that wasn't broken? 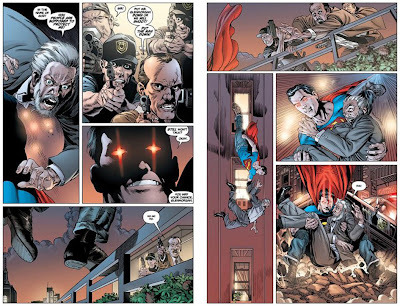 Sure JMS's aborted "Grounded" run really helped sour people on Superman, but then they had Peter Cornell's version to rely on. Here's hoping Morrison can save the big red S. Although to be honest, not digging the new costume. I understand the old look w/ the underwear on the outside is outdated, but this new one doesn't really do it for me. The undies on the outside gets a bad wrap, but it's a complete tangent. That's Superman ya know. It's part of what you buy into as a fan when you pick up his book. You want that timeless super-hero action that he helped create, backed by the heart no imitator has managed to come close too. The undies are representative of that. 99% of the globe know him and can draw him blindfolded - calvins and all. To bring more of that crowd to the books you don't need to put him in kneepads and give him youth serum. You just need to tell good Superman stories and make them more accessible. I mean Mickey Mouse has worn nothing but red undies for just as long and no one is blaming the death of a franchise on his.